Israeli military officials promised to expand its killing of Palestinians in Gaza if the planned six-week Great March of Return protest campaign continues. 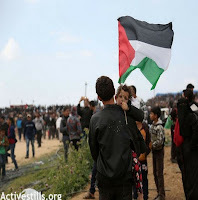 Friday, during 'Land Day' commemorations of the beginning of the Nakba, or "catastrophe" as Palestinians refer to the establishment of Israel on their lands, the Israeli Defense Force, (IDF) met unarmed demonstrators with troops, tanks, drones, and the "100 snipers" promised earlier in the week. The snipers, from perches behind earthen berms overlooking the estimated 30,000 strong demonstration, opened fire. IDF regulars sent hails of rubber-coated steel bullets and tear gas projectiles into the throng, as drones rained gas canisters on the men, women, and children from above. Tank fire too added to the chaos and destruction, and casualty count. The Associated Press, (AP) reported Saturday, 15 perished from gunfire outright* and its hospital sources said more than 750 have been and are being treated for bullet wounds, while twice that number have suffered injuries all told. According to the AP, Palestinian hospital authorities at Gaza City's Shifa Hospital said of the 284 injured received at its emergency ward Friday, the "majority" were bullet injuries. Hospital spokesperson, Ayman Sahbani said of those, 70 were under the age of 18, and 11 women. Sahbani said, of the estimated 40 surgeries performed Friday, and 50 more planned for Saturday, all were for bullet wounds. "These are all from live bullets that broke limbs or caused deep, open wounds with damage to nerves and veins," he said. 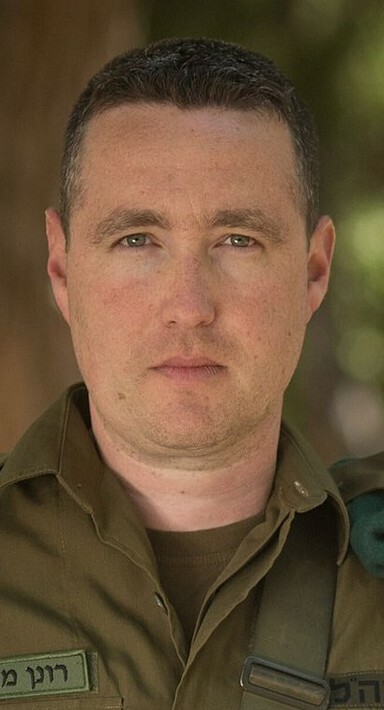 IDF spokesperson, Brigadier General Ronen Manelis contradicted casualty reports, charging the hospitals are "exaggerating" both the numbers and demographics of those injured. Manelis also said allegations of excessive force are untrue, insisting those killed by the army were all "involved in violence" and exclusively of fighting age, "between 18 and 30 years old." The Brigadier General also warned, if protests do carry on the army will "not be able to continue limiting our activity to the fence area and will act against these "terror organizations" in other places too." Manelis here refers to Hamas. Israel has never recognized the elected government of Gaza, calling Hamas a terror organization and regarding all its members and the civic and civil functions they operate as being by extension terrorist infrastructure, and therefore legitimate military targets. Saturday, and over the past week, the Israeli Air Force bombed various Hamas targets. Meanwhile, politically divided Palestinians in the West Bank observed a commercial strike Saturday, called in solidarity for those killed and wounded. In New York, United Nations Secretary-General Antonio Guterres called a joint emergency session Friday night, which resolved to initiate an independent investigation into events in Gaza, while urging "restraint by both sides." Guterres' position is a reiteration of UN Special Coordinator for the Middle East Peace Process, Nickolay Mladenov, who in the aftermath of the massacre Friday urged "all sides to exercise restraint and to take the necessary steps to avoid a violent escalation." But like the continued enforced isolation and regular punitive police and military actions against Gazans, the equivalency Mladenov's statement implies is now deemed an unacceptable misnomer, even within the mealy-mouthed lexicon of international diplomacy. It would be laughable, and the Secretary-General regarded as a clown, if the situation in Gaza were not a literal, mirthless, killing joke. "The UN’s absence of any assertiveness when it comes to holding Israel accountable for its crimes is becoming a core component of the colonial entity’s ability to act with total impunity. Nowhere is this more evident than in its patronizing attitude towards the Palestinian right of return." 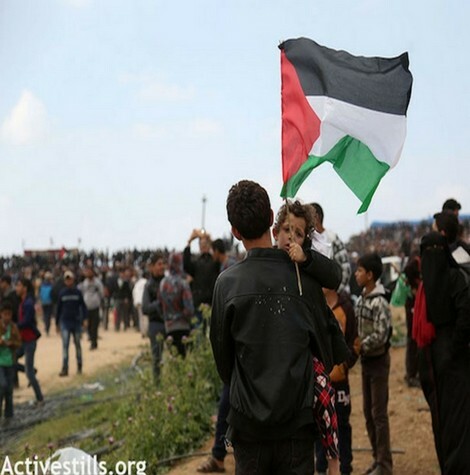 Wasdi reminds, before the Great March of Return, Palestinians repeatedly assured these would be dedicatedly non-violent manifestations, while Israeli officials and the media within promised remorseless violence, death, and destruction would greet the protesters. "The orders are to use a lot of force." In that at least, Israel has been true to its word.